360 Pest Control offers residential, commercial and industrial pest control services in Alabama, Arizona, and Florida. We can help you get rid of any of your pest-related worries. Our friendly staff is always here to answer any questions you may have about our services. Pest Control Services – 360 Pest Control – Exterminator – Call us now! If your home has been invaded by pests, you’re going to want to deal with the issue sooner rather than later. While pests can cause a host of problems, fast action can help you to get rid of those vermin for good. Here’s how you can find the best pest control solutions for you. If you’re dealing with a minor pest problem, just a few small steps might help you to get a handle on this situation. For example, if you have ants or mice in your home, you could try laying out some traps. Small-scale solutions won’t always resolve your problem, but they will let you see how severe your infestation is. If you’re dealing with a serious pest problem, you’re probably going to want to bring in professional exterminators. 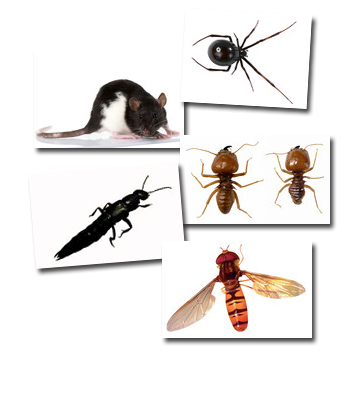 Hiring a pest control Tucson service can be a very worthwhile expense. Exterminators have access to equipment that the average person doesn’t, and they should know how to deal with many common pests. Once your home has been infested by pests, it can be difficult to get rid of them for good. Because of this, you’ll want to prioritize prevention. You should try to figure out how pests were able to access your home. Are there cracks or holes in your walls that they entered through? Seal off any of these areas. Keep your home neat and clean and watch out for the early signs of an infestation. Constant vigilance can keep you from having to deal with these kinds of problems again. Finding appropriate pest control solutions might take some time. You may not be able to clear out the pests in your home in a night. However, this is an obstacle that you can overcome. Persevere, and before you know it, your home will be pest-free again!